I was attracted to the pinball machine in my childhood. I never really got into the video game interest. I really began to enjoy and appreciate pinballs when I first played Gorgar pinball at a very young age. My first pinball I purchased was Black Hole. I have become an avid collector of Stern, Williams and Bally brand DMD model pinballs. 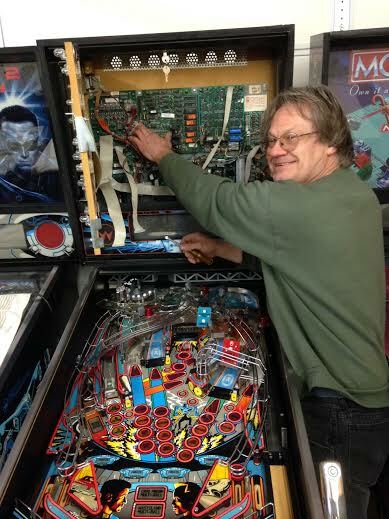 I enjoy the process of restoring pinball machines and making friends in the unique hobby / business. I own and operate a few different successful businesses and I take pride in our product / service here at Top Score Gamerooms just as well. I used to go to the bowling alley with my parents and they would give me change to play pinball. It was all EM pinball games then with my favorite being Nip It. When I started high school in 1978 the games were getting faster with the solid state games just coming out. During high school we were into muscle cars and hanging at the arcades. I watched pinball machines change with cool themes and then talking machines being introduced. The early Bally pinballs were my favorite with Centaur, Medusa and Xenon topping my list. Then marriage and kids came so I didn't play for some time. I bought my first pinball in 1999, Firepower 2. That was the start of my addiction. I now have about 17 games with all my early favorites and newer dmd games. I like all years of pinballs but I am still partial to the older Bally's. My interest in pinball started with a 25 hole bingo machine. This was an old game my dad had. I will never forget it. It was a United Manhattan. We were living in the Soulard Missouri at that time. We later moved to Hillsboro Missouri where I had started high school. The old Manhattan bingo came with us. While in high school though I lost all interest in pinballs/bingos as other interest were now my focus. It wasn't till I was married and had a grandson till the interest had re-sparked. My grandson asked me if we could get a pinball machine! The game we got was an old Aloha game. We struggled through this old game to get it working and we finally did with lots of TLC. That was about the time my grandson asked, "what do we do with a sick machine?" Paw Paw, as I am know, had to think fast! I said "Jordon we will put them in the hospital." The workshop in the basement became the hospital for pinballs. Jordon thought this was so cool and I was having a ball! My wife said this was some kind of disease because of all these machines we were accumulating. However she also said 'I could have picked a worse hobby" :-) It went from a workshop to a gameroom and then to a detached larger building just for the games. Now I am living my pinball dream! We welcome Andrew to our team! He is a VERY versitile tech that helps on all era of games in the shop. He services EM pinballs, solid state pinballs, DMD era pinballs, video games and more. Board building abilities as well. Truely talented and a very nice soft spoken guy as well. 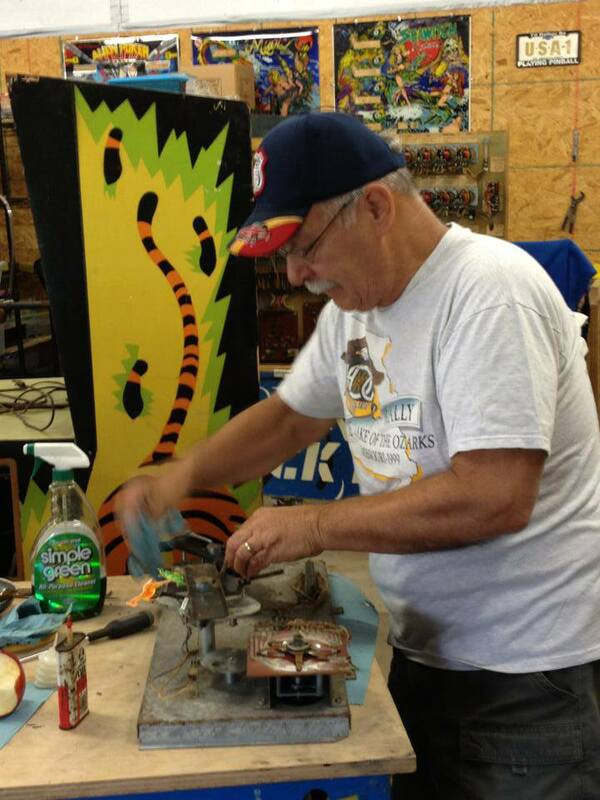 "When an EM game comes in the shop or when serious circuit board/tech work is involved Chris is to the rescue! He is a valuable part of our team.